Attendance application made specially to keep a track on the daily day to day basis attendance. Having issues managing attendance? 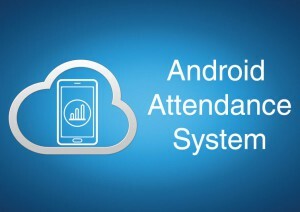 vAttendance provides the best of Cloud and Android to deliver an attendance system like none other. With a powerful Android application integrated with cloud, it offers a simple, robust and low cost alternative to manage attendance. No more bio-metric or RFID nightmares, this works right out of your phone! Designed & Deployed for cutting edge Cloud Computing Platform ensuring you 100% uptime guarantee & security. Get instant access to all your attendance data. You will be surprised how much you have been missing! Get customized reports that work for you. Export options available for a variety of formats including Excel & PDF. vAttendance is powered by a feature rich Android Application. Take your attendance with you, wherever you go. Do away with complex paperwork and complicated data integration. Go digital, go green! Simple role based access to information. vAttendance provides separate logins for Teacher, Parent, Student & Administrators. vAttendance provides a flexible notification system that allows you to send attendance updates via SMS/Email. vAttendance requires only a working internet connection. There are NO SETUP Expenses! Just configure your data and you are ready!